The full implementation of the N6.03 trillion 2016 budget will depend on the ability of the federal government to meet its revenue targets, the Minister of Finance, Mrs. Kemi Adeosun, has said. Assuring the legislators, however, that government was committed to ensure that available funds were judiciously deployed, monitored and backed by result measurement, she said that efforts were being intensified to boost revenue generation outside the sale of crude oil. Adeosun said despite the paucity of funds, ministries, departments and agencies (MDAs) were not required to lobby to access funds, adding that the funds would only be released after the needs had been determined and prioritised. She added that MDAs would only be able to access funds for capital projects after providing full details of planned expenditure. “You have to tell us what you want to do with the money, but for capital projects, we would measure,” the minister explained. 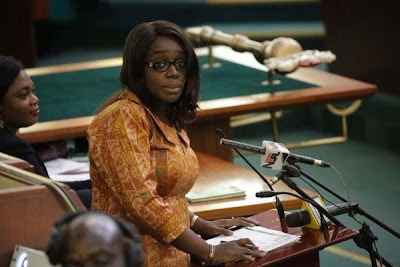 To ensure that the revenue projections were met for better budget implementation, she said the federal government was looking to improve efficiency in collection of taxes, custom duties and levies. Adeosun unveiled plans to improve the efficiency of the Nigeria Customs Service (NCS) to collect duties and levies by modernising their equipment and improving personnel welfare, which she said was below that of other paramilitary agencies. The minister was cautious when fielding questions on the clamour for the new minimum wage, noting that the government was more interested in reducing the cost of living. “This budget wants to cut power costs, transport costs; people spending hours on the roads,” she said, telling the legislators that the Ministry of Agriculture was taking steps to reduce the prices of staple products.